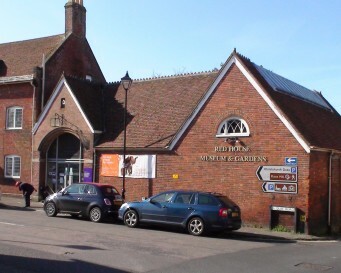 As we walk along Quay Road we arrive at the Red House Museum and Art Gallery on the left hand side which was once Christchurch’s Workhouse where the destitute were cared for. The Museum is well worth a visit. The building must have been a sad place when it was the Christchurch Workhouse. Inmates were those needing shelter and food. They were the aged, sick and infirm, as well as orphans, tramps and deserted wives. It is understood that they had to wear a uniform. Those that were fit to work spent their time on unpleasant tasks like spinning flax, also making their own clothes and shoes, knitting stockings, plaiting straw for bonnets or picking oakum for caulking planks in ship building. Few of the inmates were actually fit to work, but children were especially useful in the painstaking occupation of working in the local industry of fusee watch chain making. Fusee watch chain making was a job for small fingers and good eyes. 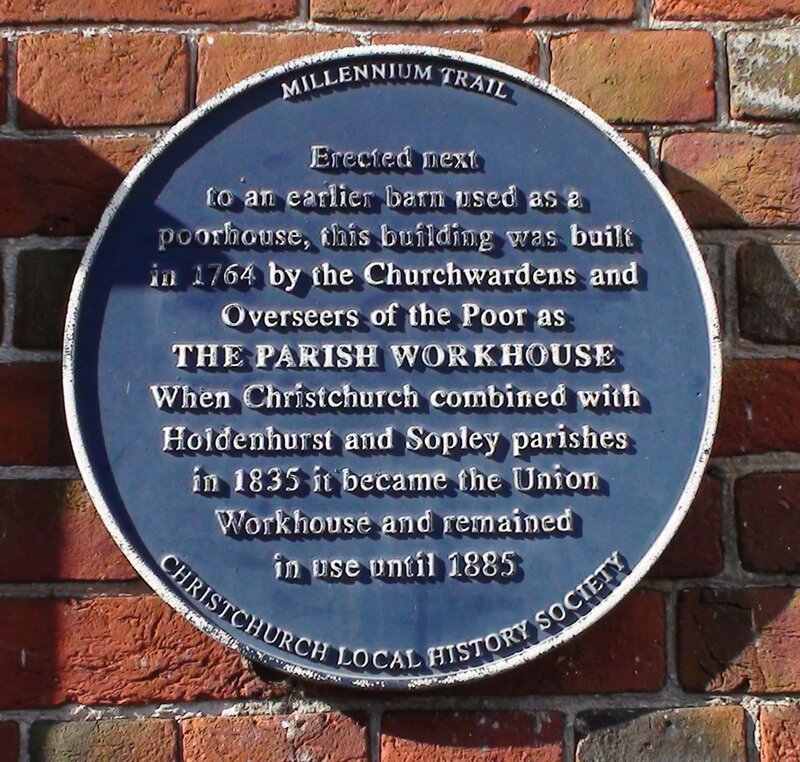 Wages were paid to the Workhouse by the industialists to help defray the costs of paupers. Inmates, even if old married couples, were split into male and female dormitories. Once the Workhouse moved to at new site at Fairmile Road the building was sold to Herbert Druitt who had his own collections of local history material, particularly from the Iron Age port and fort at Hengistbury Head, a lot of which is now in the Red House Museum and Art Gallery. On the Christchurch Blue Plaques Millennium Trail Leaflet1 this location is identified as number 24. To continue the tour retrace your steps back along Quay Road until you reach the gate into the Priory Churchyard immediately past the last house on the left and go through the gate to Church Street.